Defined by its history, antebellum style and true southern hospitality, Charleston is a class act among destinations. Stay at any of these five historic hotels for a luxurious retreat in the heart of the city. Tradition and sophistication reign supreme in Charleston, S.C. A proud city (and for a good reason), it celebrates its long heritage of high class with a kind of humble-brag only a true southerner could perfect. You could hardly ever blame the destination, though. One visit and you’re sure to agree — Charleston just does historic luxury the right way. One of the primary places you can see this displayed in all its glory? The many historic luxury hotels scattered throughout the city. Originating in 1843, the Battery Carriage House Inn survived several changes of ownership, the Civil War, the Siege of Charleston and a stint as a less illustrious, charge-by-the-hour property in the 1940s. However, by the 1980s, the historic district hotel returned to its former glory that you see today. As so many Charleston properties do, the Battery Carriage House Inn boasts its own share of ghost sightings. Known as Charleston’s most haunted inn, guests and employees have reported unusual circumstances in Rooms 3, 8 and 10, including headless torsos and a gentleman ghost who’s particularly fond of the ladies. 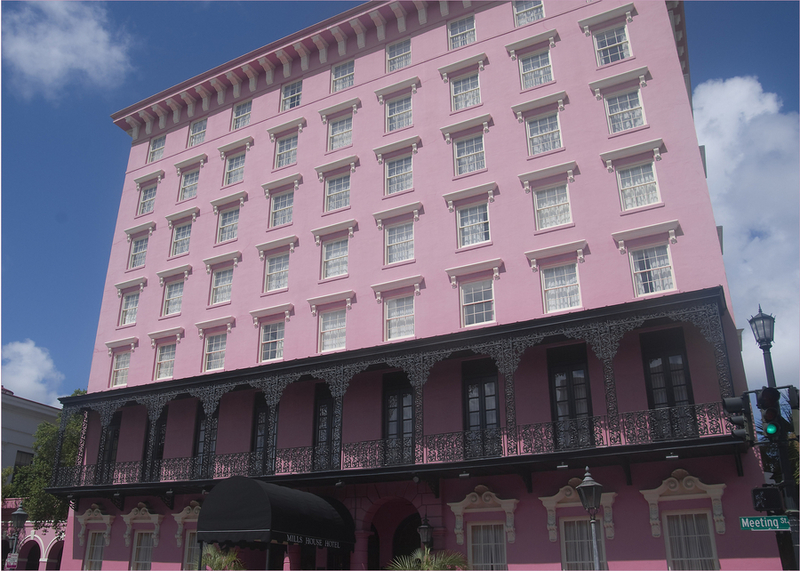 The original historic hotel opened in 1853 with 180 guestrooms. It lasted through the Civil War, going on to host illustrious guests such as President Theodore Roosevelt. It’s close to many of the city’s other historic attractions and has its own haunted past. Particularly, it’s rumored the rear lobby is home to an 1800s-era woman, wearing a purple dress. She only appears between 11 p.m. and 1 a.m. and is rumored to be the ghost of a burn victim who stayed at the hotel when it was harboring individuals impacted by the Charleston fires of the day. 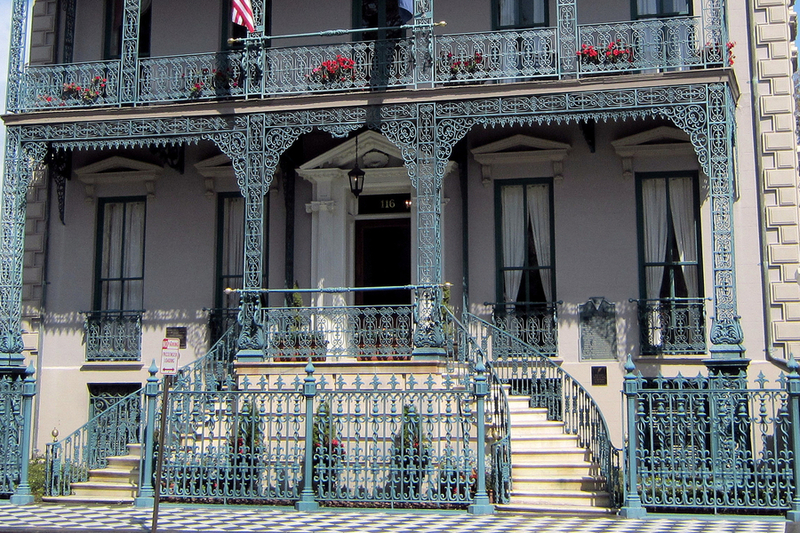 A beautiful boutique property in a picturesque location, the John Rutledge House Inn was once home to, of course, John Rutledge, one of the signers of the United States Constitution. The home was originally built as a wedding present for Rutledge’s bride in 1763. It was also the site of the writing of several drafts of the Constitution. In 1791, George Washington dined there. During the Civil War, it took a direct cannon hit. If you can’t make a stay at the property, you can also take a quick tour, to see the piazza, ballroom and courtyard. This boutique property puts luxury first. Guests are welcomed by uniformed doormen in the historic entryway. The architectural details left intact are certainly impressive. Upscale since its opening in 1803 (though the current building dates back to 1844), the Planters Inn name is synonymous with luxury, southern charm and perfect details. Beautiful suites reveal exposed brick walls, upscale and stylizing furnishings, private terraces, views of the city and elegant amenities. 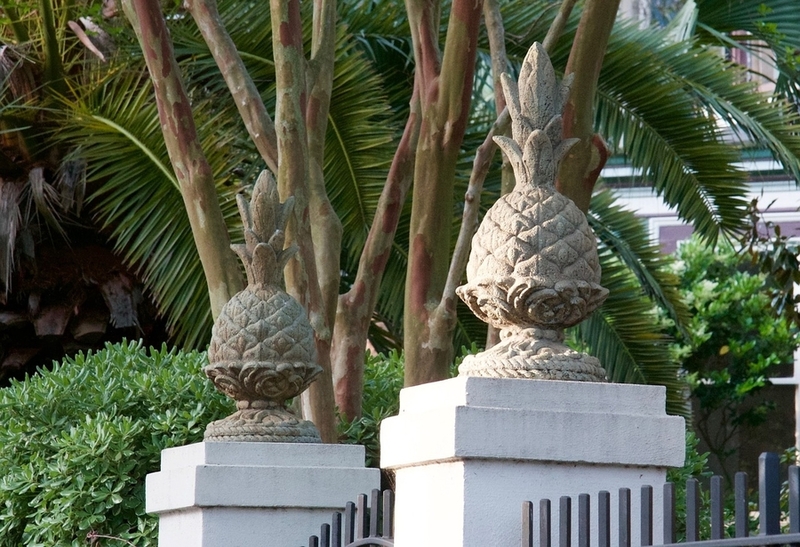 For a 5-star Charleston stay, Wentworth Mansion checks all the right boxes. Built in the mid-1800s by a wealthy cotton manufacturer and shipper, the home exchanged hands several times, before being purchased in the 1990s, after which it underwent a $7 million renovation to bring the property into the modern era, while still preserving the classic details, such as the Tiffany glass and inlaid floors. Now, the previous mansion’s carriage house is the award-winning, AAA Four Diamond, Forbes Four Star restaurant, Circa 1886, and the original stable is the Spa at Wentworth Mansion. The everyday amenities at the hotel truly embrace southern hospitality, providing guests with afternoon wine and hors d’oeuvres; evening turndown service; and evening port, sherry and brandy.